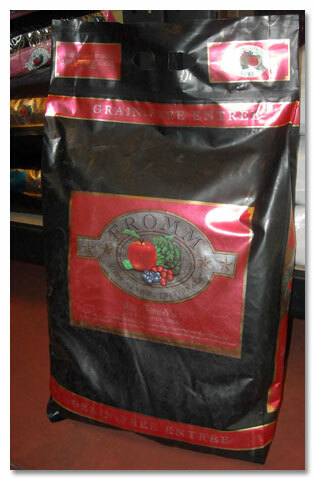 Fromm Four-Star Pet Foods - A Safe, Healthy Alternative. If you asked a four-star restaurant to prepare a fine meal for your dog, they might come up with a recipe as good as ours. 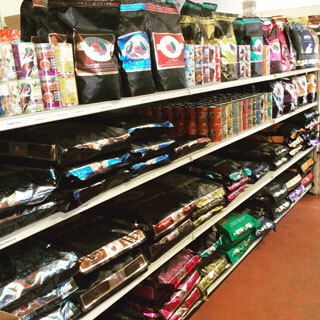 Fromm Four-Star Nutritionals offer the highest inclusion levels of fresh meat, fruit, and vegetables of any dog food on the market. And we prepare it in a manner befitting a fine, four-star restaurant. Each of our Four-Star products uses the finest ingredients possible and is prepared in small batches. Few people take as much time and care as we do to prepare their own food. But we believe it's worth it. So will you and your dog. All of our dry pet foods are manufactured at our own USDA-certified plant in Wisconsin where we utilize ingredients like fresh sweet potatoes, apples, cranberries, cheddar cheese, and other fresh produce from local markets in the area. The fresh hand-trimmed meat and fish we use is ordered as needed depending on what recipe is being made that particular day. We accept nothing less than the choicest cuts of meat and fish and each delivery is thoroughly inspected to make certain it meets our stern quality standards. 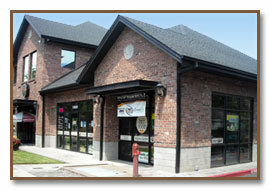 Your source for Healthy Pet Food in Fairview, Gresham, and Troutdale area.